Kilpauk, Chennai 600010. ... Respondents in all Wps. the issue of a writ of Declaration as stated therein. All the writ petitions are filed challenging Clause-19 contained in the Prospectus issued by the respondents for the academic year 2003-04 for the PG courses for degree/diploma/five years neuro surgery/M.D.S. Courses and to declare the same as null and void.
" The candidates who have undergone a Post Graduate Degree/Diploma/5 years Neuro Surgery/MDS Courses in any discipline and discontinued the courses on any grounds are eligible to apply only after a period of 2 years from the date of discontinuing t ourse." The petitioner in W.P.No.10459 of 2003 has got admission in P.G. Course of M.S.(E.N.T.) in Madras Medical College on 10.5.2002 and he discontinued the course within a period of six months from the date of admission, namely, 30.10.2002. The petitioner in W.P.No.10460 of 2003 joined P.G. course of M.S. 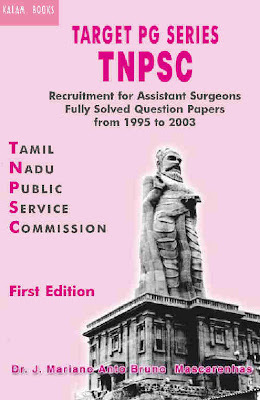 (General Surgeon) in Madras Medical College on 9.5.2002 and discontinued the course within a period of three months from the date of admission, namely, 31.7.2002. In so far as the petitioner in W.P.No.12305 of 2003 is concerned, he joined the Post Graduate Diploma course in the specialty of Anesthesiology in Madurai Medical College on 2.12.2002 and discontinued the course within a period of six months from the date of admission, viz., 13.2.2003. The petitioner in W.P.No.13072 of 2003 joined the post Graduate Decree course in the specialty of M.D.Microbiology in Madurai Medical College and discontinued the course within a period of six months from the date of admission, namely, 5.10.2001. 3. In the affidavits filed in support of the writ petitions, the petitioners have challenged the clause-19 of the Prospectus for the year 2003-04 on the ground that by the operation of clause 19, they are disentitled to apply for admission to P.G. courses. According to them, clause 19 is arbitrary and suffers from the vice of nonapplication of mind. It is stated that the clause-19 is retrospective in operation and it has taken away the petitioners' vested right. It is also stated that clause-19 is also violative of principles of natural justice and violative of the principle of legitimate expectation. Their main case is that the relevant clause that existed in the prospectus prior to 2003-04 imposed a ban from joining any discipline in post-graduate degree or diploma course only in cases where the candidates who had undergone the postgraduate course discontinued the course after a period of six months from the date of joining the course, but the present clause, irrespective of the period of study before discontinuance, makes the candidates ineligible to apply for a period of two years from the date of discontinuing the course. Their case is that though the clause provides that the ban will be for a period of two years, effectively the ban will be in force for a period of three years and the respondents have introduced the clause without application of mind and without any distinction or classification between the persons who discontinued the course two years prior to 2001 and the persons who discontinued the course after 2001. It is also urged that the clause has been introduced without taking into account the difference between the persons who left the course because of employment in Government service and others. 4. The respondents, on the other hand, in the counter affidavit justified the introduction of clause-19 on the ground that the Government have introduced the revised clause-19 with a view to provide opportunity to the candidates who discontinued the course previously at any point of time. In the counter affidavit it is stated that the Government have decided to impose a restriction for a period of two years on the discontinued candidates from seeking admission in any P.G. degree or diploma course keeping in view of the fact that many candidates who got selected for admission in P.G.degree/diploma course have discontinued the same and taken up employment in Government service and then apply to P.G.degree/diploma course as in-service candidates after the completion of two years of probation. It is also stated that with a view to offer opportunity to such in-service candidates who have discontinued the studies earlier and taken up employment, it is decided to relax the total restriction previously imposed and permit those candidates to apply for PG degree/diploma course after a period of two years from the date of discontinuing the course. It is also stated that once it is decided to entertain the applications of the discontinued candidates who are presently serving the State Government after the expiry of two years period of probation, a similar treatment should also be extended to non-service candidates who got admission in P.G.degree/diploma course previously and discontinued the same for personal reasons. It is also stated that clause-19 is in favour of discontinued candidates enabling them to apply for admission afresh after a period of two years whereas under the previous relevant clause, there was a total restriction against discontinued candidates. 5. Mr.S.R.Sundar, learned counsel for the petitioners submitted that clause-19 is in retrospective operation treating dissimilar candidates similar. He also submitted that there is no reasonable classification between the students who joined and discontinued the course prior to 2001 and the students who joined and discontinued the course after 2001 and in this manner, dissimilar candidates are treated similar. Learned counsel submitted that under the relevant clause that existed prior to 2003 the candidates who discontinued the course after six months suffered disqualification, but under clause 19 of the prospectus for 2003-04 the candidates who have discontinued the course even after one day from joining the course would suffer disqualification for a period of two years from the date of discontinuing the course. Learned counsel referred to clause 11(c) of the prospectus for 20 03-04 and submitted that while clause 11 (c) is prospective in nature and he is not challenging the same as it is open to the respondents to impose the ban prospectively, but clause-19 is not valid when it operates retrospectively when it imposes a ban for a period of two years from the date of discontinuance against those who joined and discontinued the course prior to 2003. Learned counsel submitted that there is a complete non-application of mind on the part of the respondents as they have not taken into account cases where the candidates joined before the academic year 2003 and discontinued the course before six months after joining the course and who did not suffer any disqualification in accordance with the prospectus issued for earlier years and others who joined prior to 2003 and discontinued after the period of six months who suffered the disqualification. Learned counsel submitted that the petitioners in all the four writ petitions have discontinued the course within a period of six months from the date of joining the course and they did not suffer any disqualification under the corresponding clause found in the prospectus for earlier academic years and there is a legitimate expectation on the part of the petitioners that since the discontinuance of study took place within a period of six months from the date of joining the course, they would not suffer any disqualification. Learned counsel submitted that the clause-19 does not make any distinction between the persons who discontinued the course and joined the Government Service and the nonservice candidates who discontinued the course for personal reasons. Learned counsel submitted that while drafting the present clause-19, the object found in the corresponding clause in the prospectus for earlier years was not taken into account. Learned counsel further submitted that clause-19 should be so interpreted as to apply only to those candidates who have left the course after the cut-off date fixed by Dr.M.G.R. Medical University. Learned counsel also submitted that the clause is in violation of Postgraduate Medical Education Regulations, 2000 by the Medical Council of India. 6. Learned Special Government Pleader, on the other hand, submitted that clause-19 does not suffer from any infirmity. He also referred to the reasons for the introduction of clause-19 and submitted that it is not open to the candidates to seek admission in one faculty and leave the faculty in the middle of the course and if the candidates are allowed to change their minds, it would be very difficult for the Government to fill up the vacancies. Learned Special Government Pleader submitted that similar clause has already been upheld by this Court in MURALI,R.Dr. v. Dr.R.KAMALAKKANNAN (1999 (III) CTC 675). He submitted that the present clause is advantageous to the candidates and it is not retrospective in operation. He submitted that in the earlier years there was a complete restriction on the part of the candidates who left the course after six months from the date of joining, but the present clause restricts the period of disqualification for a period of two academic years from the date of discontinuance of the course. Learned Special Government Pleader referred to the decision of the Supreme Court in MEDICAL COUNCIL OF INDIA v. MADHU SINGH (200 2) 7 SCC 258) and submitted that the Supreme Court has held that there should not be any mid-session admission in medical course and if the candidates leave the course in the middle, there may not be any possibility to admit new students. Learned Special Government Pleader also relied upon the decision of the Supreme Court in MABEL v. STATE OF HARYANA (2002) 6 SCC 318) and submitted that the Supreme Court considered a similar clause and upheld the validity of that clause. Learned Special Government Pleader submitted that the ratio of the decision of the Supreme Court in Mabel's case would squarely apply to the facts of the case. 7. Before considering the submissions of the learned counsel for the petitioners as well as learned Special Government Pleader, it is necessary to mention here that it is stated that the petitioner in W.P.No.13072 of 2003, by name, Dr.S.Sudha has not participated in the counselling and she was absent for counselling and hence, the question considering the validity of clause-19 in her case does not arise. Accordingly, W.P.No.13072 of 2003 is liable to be dismissed on the ground that the petitioner has not participated in the counselling. In so far as the petitioner in W.P.No.10459 of 2003 is concerned, he is challenging not only the clause-19, but also the clause-23 of the prospectus for the year 2003-04 and unless he succeeds in his attempt to challenge the validity of both the clauses, he would not be eligible for consideration for admission. As far as the petitioner in W. P.No.10460 of 2003 is concerned, he is challenging the clause-19 only and it is stated that he is fairly high in the rank list and if he succeeds in the writ petition, there is a bright chance of his admission. As far as the petitioner in W.P.No.12305 of 2003 is concerned, his name is found in the wait-list. Learned Special Government Pleader submitted that apart from the four writ petitioners who have challenged the clause-19, there are other candidates also who are found to be ineligible to apply for the postgraduate degree/diploma course due to operation of clause-19, but, I am of the view that it is not necessary to take note of those cases as they have not approached this Court challenging the said clause. 8. I have already referred to the relevant clause-19 of the prospectus for the year 2003-04. Clause-19 places an embargo from applying for the postgraduate degree or diploma/ five years Neuro surgery/M.D.S. courses in any discipline on the candidates who discontinued the studies on any ground and they would be eligible to apply only after a period of two years from the date of discontinuing the course. It is also necessary to refer to clause-11 of the prospectus for the year 2003-04 which provides for payment of stipulated amount to be paid by candidates who deserted the course after joining the course before or after the cut-off date. Clause-11(c) of the prospectus provides that the candidates would be eligible for P.G. course only after two years from the date of discontinuing the course. Clause-11(c) of the prospectus is prospective in nature and it applies to those candidates who have joined P.G. course in the academic year 2003-04 and discontinued the course. Clause-11 applies to the candidates selected both by Dr.M.G.R.Medical University and the candidates selected under All India Quota. Clause-12 provides that the postgraduate degree/ diploma course admissions for 2003-2004 would close on the cut off date of admission prescribed by Tamil Nadu Dr.MGR Medical University for the academic year 2003-2004. 9. It is now necessary to refer to the relevant clause, namely, clause-18 found in the prospectus for the earlier academic year 2002-03 which is similar to clause-19 of the prospectus for the year 2003-04. Clause-18 of the prospectus for the earlier academic year 2002-03 provided that candidates who have undergone postgraduate degree in any discipline and discontinued the course on any ground after a period of six months from the date of joining the discipline are not eligible to apply for any postgraduate decree/diploma/Five Year M.Ch. (Neuro-surgery) courses. A comparative study of the clause-19 of the prospectus for the present academic year 2003-2004 with the clause-18 of the prospectus for earlier academic year 2002-03 shows that under clause-18 of the prospectus for the earlier academic year, if any candidate joined the postgraduate degree in any discipline and discontinued the course after a period of six months from the date of joining the course, he would not be eligible to apply again. On the other hand, under clause-19 of the prospectus for the year 2003-04, the permanent ineligibility has been lifted and the period of ineligibility is now restricted to a period of two years from the date of discontinuance of the course. However, under the relevant clause found in the prospectus for the earlier academic year, the ban would operate only to those candidates who left the course after a period of six months from the date of joining the course, but, under the present clause-19 the bar would operate even in respect of a candidate who leaves the course before or after a period of six months from the date of joining the course. SUGANTHI v. STATE OF TAMIL NADU (1984-II MLJ 296) and held that the ban under the clause was imposed in the interest of general public and was valid. This Court in an unreported decision in W.P.No.6894 of 1995 (S.K.Buddha v. Government of Tamil Nadu rep. by Secretary, Health Department, Fort St.George, Madras-9 and 2 others) dated 23.7.1996 has held that the candidates could not play with the number of disciplines offered by the Government in a light-hearted manner and they should apply to the Course in which they have aptitude. 11. The Supreme Court in MABEL v. STATE OF HARYANA (2002) 6 SCC 318 ) has considered the clause-18 of Information Brochure of Kurukshetra University which reads as under:- "18. The candidates already admitted in any medical/dental colleges will not be considered eligible for admission to the course." " A plain reading of the aforementioned clause shows that a candidate who was already admitted in a medical or dental college would be ineligible for admission in the other course. The said clause at times will operate harshly as in the case of the petitioner but it is meant to ensure that a candidate who has already secured admission should not abandon the studies after the commencement of that course to seek admission in another course which is in public interest, for otherwise it would result in the wastage of the seat in the course in which he has taken admission, and further,such a change would deprive another eligible candidate from seeking admission to the other course. Obviously, the intention of the authority concerned in framing clause-18 appears to be to ensure that a candidate who has already secured admission with his free will in any course (MBBS or BDS should complete that course and should not change his mind in midstream. It, therefore, follows that the bar is intended to be operative during the period of the course in which a candidate has taken admission. After completing that course or in the event of abandoning the course (MBBS/BDS) and not studying for the normal period (4/5 years, as the case may be) the candidate would become eligible after the end of such period of the course to seek admission in the course of his choice provided other conditions of admission are satisfied. " clearly held that clause-18 of Information Brochure of Kurukshetra University is to ensure the candidates who have already secured admission with their free will in any course should complete that course and should not change their mind in midstream and if there is any change, it would deprive other eligible candidates seeking admission to other courses and a candidate should not abandon the seat after commencement of the course to seek admission in another course which is in public interest, for otherwise it would result in the wastage of the seat in the course in which he has taken admission. 13. There is no dispute that clause-19 of the Prospectus for the year 2003-04 has been made in the public interest. I am unable to accept the submission of Mr.Sundar, learned counsel for the petitioners that the respondents have no such powers to incorporate the clause-19 in the prospectus after the enactment of Postgraduate Medical Education Regulations,2000 by the Medical Council of India. I am of the view that the clause-19 is not in any way inconsistent or contradictory to any of the regulations framed by the Medical Council of India and I hold that the respondents have the power to enact such a clause in the prospectus. prospectively. However, on the facts of the case, the prospectus issued would govern the policy of admission for a particular academic year and it cannot be assumed that the relevant clause found in the prospectus for a particular year is a policy of the Government that would operate for ever. The prospectus, by its nature, would apply only for a particular academic year and the contention of the petitioner that the policy of the Government reflected in the prospectus should not be changed and if there is any change in the prospectus, it should operate only prospectively and not retrospectively is not sustainable. Learned counsel for the petitioners also referred to the decision of the Supreme Court in NAVJYOTI CO-OP. GROUP HOUSING SOCIETY v. UNION OF INDIA (AIR 1993 SC 155) regarding the principle of legitimate expectation. I hold that on the basis of the decision of this Court in Poovizhi's case (2002) 1 MLJ 590), cited supra, the principle of legitimate expectation has no application and there can be no legitimate expectation on the part of the petitioners on the basis of the terms contained in the prospectus for the earlier years. 15. Learned counsel also referred to the decision of this Court in SUBRAMANIAN,L. v. STATE OF TAMIL NADU (1992 WRIT L.R. 73) and submitted that under the principle of promissory estoppel, the cancellation of the reservation can be made only prospectively and not retrospectively. I am of the view that the decision has no application as in that case, the reservation of 20 seats was originally made and subsequently it was cancelled and in such situation, the Court held that so long as the reservation was in force, the cancellation of reservation can be made only prospectively and not etrospectively. 16. Learned counsel also referred to the decision of a Division Bench of this Court in STATE OF TAMIL NADU V. K.KANNABIRAN (1997 (II) CTC 475) where the Bench held that where amendment has been made by way of executive instruction, such amendment would operate prospectively and not retrospectively. This decision has also no application as in that case, it was found that when the candidates took up the examinations, the new regulations did not come into force and subsequently the regulations were amended to the effect that if the candidates fail to write examination, they would be denied first class even if they make an attempt in the next examination and obtain more than 60 per cent. In such situation, the Court held that since new regulations did not come into force when the candidates took up the examination, the regulations did not have retrospective operation. This decision has also no application. 18. The decision relied upon by the learned counsel in INDIA SUGARS AND REFINERIES LTD. v. STATE (AIR 1960 MYSORE 326) deals with the general principles on retrospective operation and it has no application as it deals with the delegation of legislative powers to executive body and the Mysore High Court held that the rule imposing cess cannot operate in a retrospective manner. 19. Learned counsel also referred to the decisions of the Supreme Court in DR.PREETI SRIVASTAVA v. STATE OF M.P. (1999) 7 SCC 120) and AIIMS STUDENTS' UNION v. AIIMS (2002) 1 SCC 428) and submitted that merit alone should be the consideration in choosing the best for admission to the high speciality courses. I am of the view that the two decisions relied upon by the learned counsel for the petitioners are not applicable as by insertion of clause-19 in the prospectus the merit is not sacrificed in the process of selection. and D.N.CHANCHALA v. STATE OF MYSORE (AIR 1971 SC 1762) and submitted that the colleges are set up by the State Government from and out of public funds and the Government have the power to frame rules and clause-19 does not suffer from any legal infirmity and it is also not unconstitutional. Learned Special Government Pleader further submitted that the rules are prospective in operation and while framing the rules for admission, the mere difference in treatment would not suffice to hold that the rules are violative of Article 14 of the Constitution. He submitted that the classification is on rational basis and it is intended to achieve the objects behind the rules and the distinction is made to achieve the objects. He relied upon the decision of the Supreme Court in ASHUTOSH GUPTA v. STATE OF RAJASTHAN (2002) 4 SCC 34). He also referred to the decision of Full Bench of this Court in MURALI,R.Dr. V. Dr. R.KAMALAKKANNAN (1999 (III) CTC 675) and submitted that the relief should be granted on the basis of the prospectus for the current year alone and the interpretation given based on last year's guidelines is not correct. 21. There can be no quarrel over the proposition laid down by the Supreme Court in D.N.CHANCHALA v. STATE OF MYSORE (AIR 1971 S.C. 1762) to the effect that the State Medical Colleges are set up by the State Government from out of the public funds and the Government which bears the financial burden in running the Government colleges is entitled to lay down criteria for admission in its own colleges and to decide the sources from which admission should be made, provided such classification is not arbitrary and has a rational basis and a reasonable connection with the object of the rules. It is equally true, as observed by the Supreme Court in ASHUTOSH GUPTA v. STATE OF RAJASTHAN (2002) 4 SCC 34) while considering the nature and scope of Article 14 of the Constitution of India, that the concept of equality does not involve the idea of absolute equality amongst all which may be a physical impossibility and the classification need not be scientifically or logically perfect and the only thing that the Court has to see is whether the classification is reasonable and rational and based upon an intelligible differentia which distinguished persons or things grouped together from those left out of the group and whether the basis of differentiation has any rational nexus or relation with its avowed policy and objects. It is equally true that the Full Bench of this Court in MURALI,R.Dr. v. Dr.R.KAMALAKKANNAN (1999(III) CTC 675) held that it is not permissible to interpret the prospectus of one year with reference to the terms contained in the prospectus of earlier year. 5.10.2001 respectively. In other words, all the petitioners except the petitioner in W.P.No.12305 of 2003 have left the course before the cut-off date and it is stated that in their places, new candidates who were in the wait-list were selected and they also joined the course. discontinuance of the course. The effect of the clause is that a candidate who joined the course prior to the academic year 2000-2001 and discontinued the same after a period of six months or more would now be eligible to apply for the P.G. degree or diploma course as the period of 2 years would have expired before 2003. So far as the candidates who joined the course in the year 2001 or 2002 and discontinued the course either within a period of six months or after a period of six months from the date of joining the course are concerned, they would not be eligible to apply for a period of two years from the date of discontinuance of the course. As observed by this Court in GEETHA,P. v. STATE OF TAMIL NADU, ETC. & OTHERS (1997 Writ L.R. 852), the object behind the clause is that the Government is spending money for creation of seats and also for the education of students and if a candidate deserts the course after a period of six months, the seat would become a permanent waste and another candidate who is eligible would not be substituted in the place of the candidate who deserted the course. In the said judgment this Court also held that if a candidate who underwent the course discontinued the course within a short period, then, the selection committee would be in a position to allot a wait-listed candidate in the place of the deserted candidate. The Supreme Court in MEDICAL COUNCIL OF INDIA v. MADHU SINGH (2002) 7 SCC 258) has categorically held that there is no scope for admitting students midstream and admission of students after the commencement of course would be against the intended objects of fixing a time schedule. 24. Clause-19 of the prospectus of the year 2003-2004, in my view, in its operation, does not make any difference at all in respect of persons who joined the course prior to 2003 and discontinued the course after one day or after one month or after six months or after one year from the date of joining the course. In other words, clause-19 operates and imposes the disqualification uniformly on all candidates for a period of two years who joined and discontinued the course prior to 2003-2004 irrespective of the period of discontinuance. Learned counsel for the petitioners has not seriously disputed the validity of clause-11(c) of the prospectus for the year 2003-2004 as it operates prospectively, but in so far as clause-19 is concerned, it operates with reference to candidates who have joined and discontinued the course prior to its coming into force and the disqualification would operate whatever may be the period of discontinuance. 25. I am of the view, clause-19 should be construed in the light of the object behind the clause and it is not meant to discipline a candidate for leaving the particular discipline after joining the course, nor is it meant to impose a punishment for discontinuing the course in a short period from the date of joining the course. The fixation of six months' time-limit in the earlier clauses in the earlier prospectuses has a purpose behind it and if a candidate leaves the course after six months, the seat would become a permanent waste and it would be a waste not only for the candidates who discontinued the course, but also to the candidate who is in the wait-list seeking admission. 26. It is no doubt true that there should be no wavering of the mind of a student when he exercises his option for a particular course or a particular discipline and he should think not once or twice, but more than twice before deciding to accept the course. However, due to some reasons beyond his control, if he leaves the course before the cut-off date for admission, the respondents, though put into some inconvenience, can fill up the vacancy arising out of the discontinuance of the course by the candidate as the seats available for admission are few in number and the candidates willing to join are more in number. Clause-19 of the prospectus, in its operation, takes note of certain past acts done by a candidate and imposes a ban, though a limited one on the candidate who joined the course before the academic year 2003-2004 and discontinued the course shortly after joining the course, but before the cut-off date and when it treats him alike with another candidate who joined the course before 2003 and discontinued the course after the cut-off date or after six months, without taking note of the similar clauses found in the prospectus for earlier years, it would operate arbitrarily and unreasonably in so far as the former types of candidates are concerned. It is true that the Government is entitled to frame its own policy for admission for each academic year. I am of the view, clause-19 should be read in such a manner that it will apply to the candidates who have undergone postgraduate degree/diploma/5 year M.Ch. (Neuro Surgery) courses and discontinued the course prior to the academic year 2003-2004 on any ground after the cut-off date of admission or after a period of six months from the date of joining the course and they alone will be ineligible to apply for a period of two years from the date of discontinuing the course. If the clause is so read in such a manner, then it will not apply to a candidate who has joined before 2003-2004 and discontinued the course before the expiry of cut-off date for admission. There is also an additional reason for taking such a view as the candidates who have joined the academic study would have left the course on the basis of the terms contained in the prospectus for that particular academic year. I find that at least from the academic year 1994-95 to 2 002-2003 in all the prospectuses, the restriction was imposed on the candidates who discontinued the course after a period of six months. When there is a sudden change in the policy of the Government with reference the past acts done by the candidates, I am of the view, the condition making them ineligible to apply should be so read in such a manner to remove the hardship that is caused by the operation of the rule. Though the operation of the rule is prospective in nature, yet, when it operates with reference to certain past acts done by the candidates on the basis of the prospectus issued for the earlier year, the right of the candidates seeking admission in the postgraduate course should not be prejudicially and seriously affected and the clause should be read in such a manner to remove the inequality that exists by the equal treatment meted out to two groups of persons who are not similarly situate. sudden change of Government policy in the matter of admission, the interest of the students would get jeopardized. In Poovizhi's case it was held that the Government Order challenged before this Court was prospective in operation. discontinuance of the study was prior to the commencement of the academic year 2003-2004. 28. In so far as W.P.No.10459 of 2003 is concerned, the petitioner has challenged clause-23 of the prospectus for the academic year 2003 -2004 and I have considered the question in W.P.No.11266 of 2003, etc. batch, and by judgment of even date held that the clause-23 is violative of Article-14 of the constitution. 29. The result is that clause-19, if so read in the manner indicated above, will have no application to the case of the petitioners in W.P.Nos.10459 of 2003, 10460 of 2003 and 12305 of 2003. In so far as the petitioner in W.P.No.13072 of 2003 is concerned, she has absented herself from attending the counselling and hence, the writ petition is liable to dismissed and accordingly, it is dismissed. All other writ petitions, viz., W.P.Nos.10459, 10460 and 12305 of 2003 are ordered accordingly. No costs. Connected W.M.Ps. are closed.